Editor’s Note: This week, Living-ston Philanthropies, Inc. founder and director Jeff Friedman explains, in his own words, how the Livingston-based charitable organization needs volunteers, thanks in large part to the continuing generosity of Livingston residents donating to the organization. Livingston Philanthropies, Inc., (LPI), which continues to grow and literally take on a life of its own, is offering local volunteering opportunities for those who own an SUV or larger, and have at least two free hours available some weeks. What is it really like to spend quality time with us? Please email me at jftv1@verizon.net to explore possibilities. “OK, let’s roll,” he said, while jumping into the cab. LPI volunteers were all set for delivery to both a new distribution partner and another highly-effective organization which has been with us for years. We made a quick stop at The Apostles’ House in Newark, our newest distribution partner, as mentioned in last week’s edition of the Tribune. 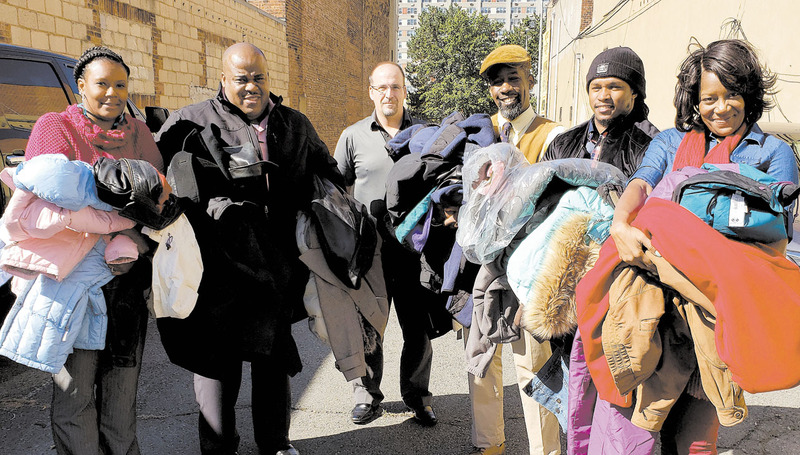 Housing homeless women, children and babies, Livingston’s extreme generosity provided warm children’s coats and winter accessories just in time for our current chilly weather. Thank you, neighbors, and keep ’em coming, please. The SAIF Program assists individuals in their goal of leaving welfare and becoming a part of the working class. Ms. Deville told the story of a recent client who was made ready for the job market. “With the job training and coaching he’s received from his SAIF intensive case manager, as well as receiving a suit and coat from Livingston Philanthropies, he is not only ready for his interview but ready to land that job!” she shared. I’m thanking our more-than-generous Livingston friends and neighbors for their kind and ongoing donations of warm coats, winter accessories, small sized toiletries, new cosmetics, diapers, women’s products, men’s dress attire, and so many other needed items. With the change of temperature, those who are out on the cold streets or are living below the poverty line need assistance more than ever. That means I’m asking Livingston residents to dig deep, wide, and far, for coats and garments not being used. Individual donations are the backbone of LPI’s success in making a difference.